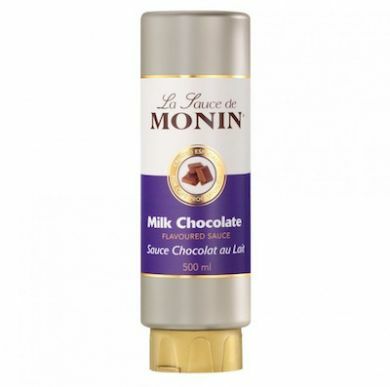 Squeezable bottle of smooth and delicious Monin milk chocolate sauce with an authentic chocolate flavour taste. Incredibly creamy, smooth, rich and perfectly balanced texture. 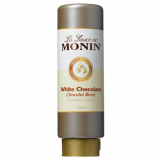 Due to its smooth texture Monin milk chocolate sauce allows you to create unique hot and cold mochas. 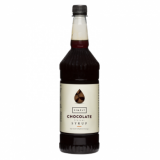 It can also be used for glass drizzling or indulgent toppings. I particularly like to mix it with Monin Mojito Mint syrup in a mint mocha. Glucose syrup, sugar, water, skimmed sweetened condensed milk, milk chocolate (5%) (sugar, cocoa butter, cocoa mass, whole milk powder, emulsifier: soya lecithin, natural vanilla flavour), skimmed milk powder, stabiliser: natural glycerin, flavouring, low fat cocoa powder, emulsifier: soya lecithin, salt, preservative: E202. Once opened consume within 6 weeks, store in a clean, dry and cool place (below 25C). 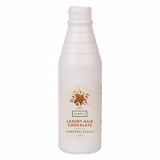 Add as required to your mochas, hot chocolate and other speciality drinks, desserts, ice cream toppings and more.